Humor is defined as the amusing quality of something. Here at Rissy Roo's we find it important to share with you the awkward moments, classic promposals, outrageous happenings and other humorous events. Life is better when your laughing! Don't lie, you've been there before. You're not alone. We've all suffered from that epicly embarrassing fashion fail at one point or another. The type of horrifying moment you couldn't conjure up in your most demonic and disturbing of nightmares. Hopefully, it's well in the past and you've fully recovered. If not, don't crawl in a hole just yet. With the new year rapidly approaching and a new resolution that would traditionally go with it, I thought today would be an appropriate time to discuss the importance of always being sure to dress your best! I've gotten a head start on my resolution and, as you'll soon find out, for good reason. Perhaps by the time the New Year rolls around, my thought's will resonate and you'll make a resolution of your own; to always be dressed "as if". Dress as if you were being stalked by the paparazzi, as if you were on a reality show and knew the world were watching you, as if you knew you'd be awkwardly stumbling into your ex... and his lovely new fiance. Whether dressing up for a winter formal, homecoming, a night out with the girls, or, as you'll soon see why, even if you're just walking your dog, it's always important to be conscious of your appearance strive to look your best. After all, you never know who you're going to run into! No matter how hard we try, ghosting ourselves is an impossibility. We've yet to discover a method for achieving invincibility, so accept the inevitable, you're going to be seen. Read on for a short story detailing how and why I finally realized that it's time to make sure I'm always dressed "as if". Its 7 a.m. and my alarm goes off, echoing the most revolting of noises one could hope to rise and greet a new day with. Not only am I now awake (begrudgingly), but my dog has decided to take a morning stroll upon my face. Time to start my day. First thing's first, time to take the pooch out for his (official) morning walk. As I scramble to find my glasses, and something warm to go for a walk in, the thought never crosses my mind that I will actually be appearing in public. I've just dressed myself in a black and yellow Batman hat, baby blue hoodie, over sized sweatpants, two different color Ugg boots, neon pink gloves, and to top it off, a purple fur coat. (FASHION NO NO!!!) I figured hey, its 7:00 in the morning who am I going to cross paths with at this time. Well, of course, I immediately run into two neighbors (should have seen that one coming), get three honks acknowledging my atrocious ensemble, and here comes the kicker; as I am crossing the street with my dog, I fall flat on my face. Traffic was stopped and a small village gathered to help me get my bearings and make sure I was alright. It was an all around disaster, to say the least! And, with that 'experience,' I have FINALLY learned my lesson. No matter where I am going, it is important to understand the likelihood of encountering other human beings... and to dress accordingly. I have no excuse for the outlandish outfit I had put together, considering that my closet is overflowing with adorable hoodies and matching sweatpants. So ladies, common courtesy to the general public, put a little effort into your look. No matter whether walking your dog or having a fun night out with the gal pals. When it comes to a quick walk outside with Scruffy or a jaunt to the nearest convenience store, there are some easy fashion staples you can always keep in mind to look put-together without much effort at all. For starters, oversized sunglasses are VERY helpful- not only do they help disguise you, they cover up the bags under your eyes or the smeared makeup you were too tired to wash off from the night before. Throwing on a pair of leggings or yoga pants is always a cute choice for a fast fashion fix, while still maintaining your level of comfort. As for tops, I love wearing oversized sweatshirts with my leggings... and MATCHING UGG boots, of course! Yeah, pair them up, I assure you the two seconds it could take is much less agonizing than the shame you'll endure while others take notice of the fashion fail. After my morning shenanigans, I come to the conclusion that it is time to give my Batman hat to my 8 year old cousin. My baggy sweatpants will be worn only in my house and, as for my purple fur coat, there's just no acceptable reason to validate how it ever entered my closet, nonetheless made its way onto my person. I'll try to donate it and, after Goodwill rejects it, I'll toss it in the dumpster to the side of their building. "Anyone can get dressed up and glamorous but it is how people dress in their days off that are the most intriguing." So, with those ever so slight yet vitally important alterations made, my newfound resolution to "Dress Your Best" is well under way. And, what better way to kick off that resolution than by picking out some cute new digs here at Rissy Roo's? Have you ever been caught wearing some major fashion no-no's? Leave us a comment below and share your most embarrassing experience. This entry was posted in Humor, Fashion, Worst Dressed and tagged fashion, Worst Dressed, fashion tips, New Years, New Year, Fashion police, tips, New Years Resolution, fashion fail on September 2, 2016 by Special Contributor. Around this time of year, I begin to get nostalgic. I think about all the people going to college, leaving home for the first time, getting to know all kinds of people and new experiences, it’s sensory overload. You can become easily overwhelmed. It’s all part of life. Some will leave you a better person, and you will end up learning things about yourself that you never knew before. Others will test your patience, which is pretty important. Your limits will be defined during this time of your life. It is best to think of these individuals as ‘lessons’ instead of ‘jerks’. Many people you meet will bring out the best in you. They will bring you out of your shell and get you thinking about possibilities you never thought of before. You might even meet your future business partner. In any case, it is going to be a time when you discover more about yourself than ever before. This entry was posted in Humor, For Fun, College Life and tagged College Lifestyles, best friends, friends, sisters, college, roommate, sorority on August 18, 2015 by Laura Resurreccion. The annual homecoming game brings out the best of us in our homecoming traditions. 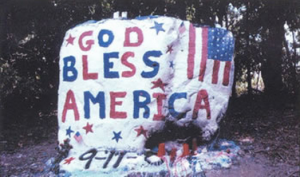 When I was a student at Huntington High School on Long Island, we used to paint this big boulder at the corner of the back entrance of the parking lot to our school. Not just at homecoming, we would paint it in different themes throughout the school year and for special events, memorials and other such things. It’s one of those traditions that technically we were all vandalizing school property, but officials just looked the other way for the sake of tradition. We had some very talented artists so it was a really great way to get attention from the community. All over the US students have very creative homecoming traditions to celebrate the occasion. Some traditions are associated with homecoming dances where women adorn themselves in gorgeous homecoming dresses and others are directly related to the game. Many schools and towns host a homecoming parade with floats made by students and teams. Other traditions include pranking the visiting team. Here is the countdown of the top ten truly unique, cute and quirky traditions across America. Those students who aren’t athletes or band members also get in on the school spirit. Long standing rituals in high schools and universities encourage everyone to join in. Like the University of Oregon, located in the city of Eugene. They host an annual tug-of-war game before the homecoming game. This is a well-established tradition, going as far back as 1967. This playful game has taken hold in other states, going beyond the homecoming season. Such events have inspired the Oregon Area Chamber of Commerce to hold an official event during Summerfest in Wisconsin. The University of Wisconsin at Platteville is the site of a large-scale construction project. 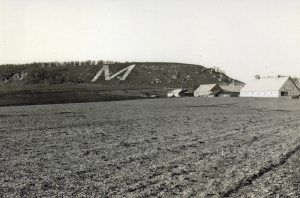 First created by mining students in the 1930s, a large letter “M” was created on the slope of a large hill just east of the city of Platteville. The project is simply known as “The Big M”, which occupies a large area of 214 x 241 feet on the south slope. Students moved 400 tons of whitewashed stone to make this. The university has a past practice in mining engineering, hence the “M” stands for mining. Before the homecoming game and the dance, students use flares to illuminate the Big M, to pay homage to their rich history. 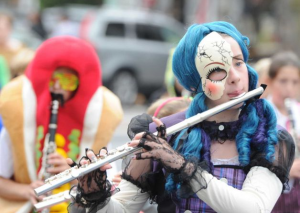 Some homecoming games fall on a date that is close to Halloween, on October 31. Schools take this opportunity to host a Costume Ball as a part of the festivities of homecoming week. At some schools, this dress up dance is exclusive to a certain group, like the football team or marching band members. This entry was posted in Humor, For Fun, College Life, In The News and tagged high school homecoming, Homecoming, funny, tradition, college, weird on August 7, 2015 by Laura Resurreccion. Girl Gets Pulled Over By Police. What Was Her Ticket For? A PROMPOSAL! Promposals have been getting more and more popular each year, and this Prom 2015 season has definitely taken the prom proposals to a whole new level. No more does simply writing a note with a accompanying flowers or a teddy bear work. Now, it's all about dressing up as Prince Charming for the day or coming up with some other totally unique idea. Lauren with the police who delivered her promposal! Well, Amesbury High School junior Nick Fortuna, from Boston, Massachusetts, certainly found a very new and unique way to turn the normal note and flower routine into a very special promposal for his girlfriend Lauren Fedorchak. Believe it or not, Nick got the police involved in delivering a promposal! Nick asked police officer Ronald Guilmette to pull over his girlfriend at a traffic stop. Lauren gave the officer her license and registration. When the police officer returned, she received a "ticket," but instead of a traffic citation, the ticket said, "Prom with Tuna?" Nick was waiting in Officer Guilmette's police car the whole time. Once Lauren was given her ticket, he came over to Lauren's car to surprise her in purse and give her flowers. Of course, Lauren said "YES!" There have been so many amazing promposals this year, but this one may have taken the cake in our book! It's pretty impressive to get the police involved! And, major props to the Amesbury Police Department for being such good sports and helping Nick with his promposal. What do you think of this police promposal? Would you have gotten scared getting pulled over? This entry was posted in Humor, For Fun, Promposals, In The News and tagged In The News, promposal ideas, promposals, fun, funny, prom fun, promposal, Prom 2015 on April 2, 2015 by Chrissy Roos. With prom on the way, we are all super busy trying to find the prom dress and accessories of our dreams to ensure our night is perfect! Not to mention the organizing of plans and parties, we are exploring with hairstyles and makeup trends to figure out what kind of prom look we want. With all the shopping and searching and planning, we may have overlooked one minor detail...what about a date? If you haven't been asked yet, don't fret as there is still plenty of time for your dream guy to ask you. However, it's totally okay to take matters into your own hands and ask your crush or friend first! There are countless ways to go about asking someone to prom, so to get your creative juices flowing, below are two ways to go around 'promposals for him' - a more simple way, as well as a bolder approach. What kind of promposal girl would you be? Whether coming from the guy or the girl, prom proposals are all about exploring your creative side and putting some extra thought into a clever way to ask your potential date. With that said, it doesn't mean that it has to be done in an over-the-top way. For a simple promposal idea, try incorporating something you know the other person likes or is interested in to show how much you care. 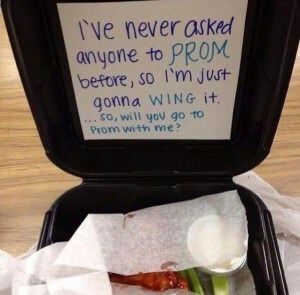 We love this cute idea of "winging" the promposal with some chicken wings! First of all, what guy doesn't like wings?? And, secondly, it's a cute way to remind the person that you're asking that you are doing something sincere that you've never done before, and will hopefully be a reminder for him to be sincere with a response in return! If you're a "go big or go home" type of girl, you may want to do something a little more bold for your promposal. Whether you just want a cute way to ask your boyfriend to prom, or you're on a mission to prove how much this your potential date MUST go to prom with you, or it just seems like something fun to do, a bold promposal can seem scary, but also very rewarding! Bolder, bigger ideas can also be fun ways to have friends aid you in the process! With all of the snow that's been coming down this weekend, we thought the below idea of carving our "PROM?" in the snow was such a cute idea! This one's bold in the sense that it's BIG, but it's super fun, which helps to take any scariness out of the idea. Whatever promposal idea or approach you decide to take, and whatever the outcome ends up being, just remember to have fun! Just like Prom Night, your promosal will be one that you'll remember forever, so make it special and keep it light-hearted. And, if you have any ideas of your own to share, leave us a comment below! This entry was posted in Prom Tips, Humor, Promposals and tagged Prom, prom tips, dream prom date, Date Ideas, promposal ideas, promposals, Prom 2014, fun, diy, do it yourself, prom fun, promposal on February 25, 2014 by Marissa. 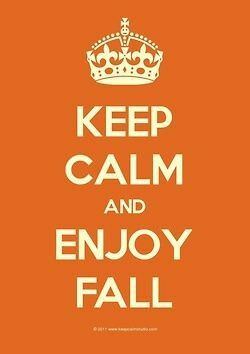 There's nothing better than a little arts and crafts to bring in the fall season! With Halloween right around the corner, why not make your own festive and decorative items? 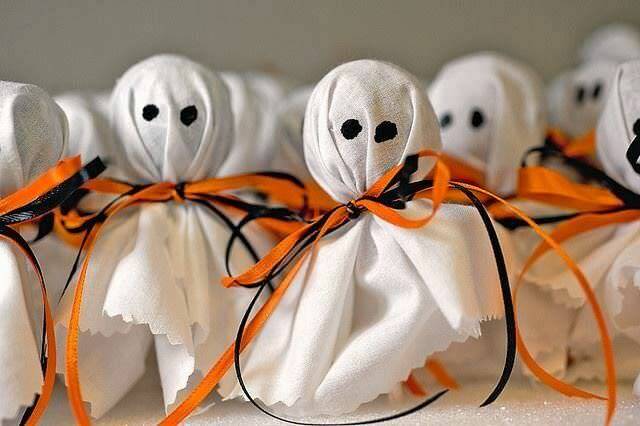 The girls here at Rissy Roo's love a good Halloween DIY as much as the next ghost, goblin or ghoul in the room! We searched Pinterest and found our favorite Halloween "Do It Yourself" projects to share with you! 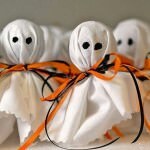 Lollipop Ghosts- Dress up some tootsie pops and create some cute little ghosts! Wrap a small piece of white cloth around the top of your favorite lollipop, to keep the cloth in place tie orange and black ribbons right underneath the lollipop and use a black Sharpie to color in the black eyes on the ghost lollipop! 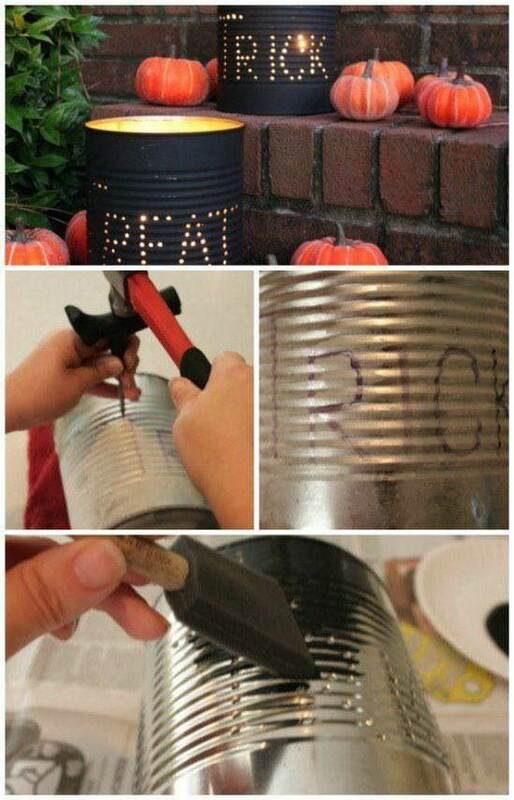 Trick or Treat Tin- With your parents assistance, poke holes in a tin can and write out your favorite Halloween saying. Once you're finished, paint the can with spooky black paint to make the light really shine through once you add the lit candle! 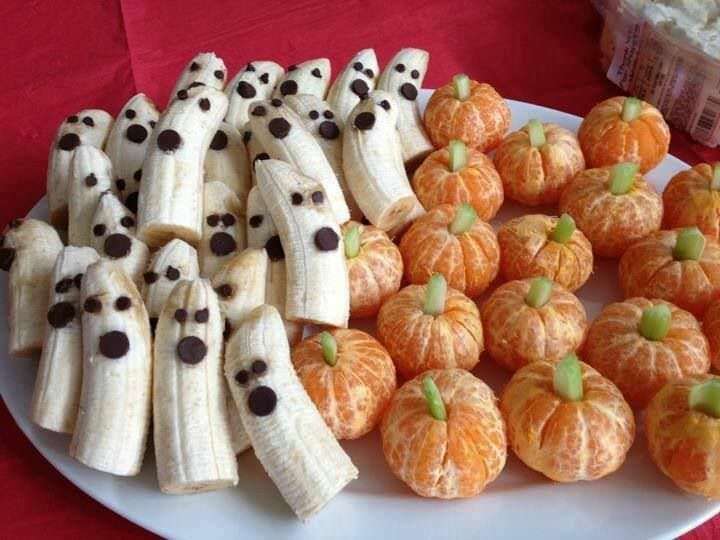 Healthy Halloween Treats- What an adorable treat! Take the skin off of some Clementine oranges and add a small piece of celery to the top to get the "pumpkin look." Then, slice a few bananas in half and use chocolate chips to give your banana ghosts eyes and a mouth! 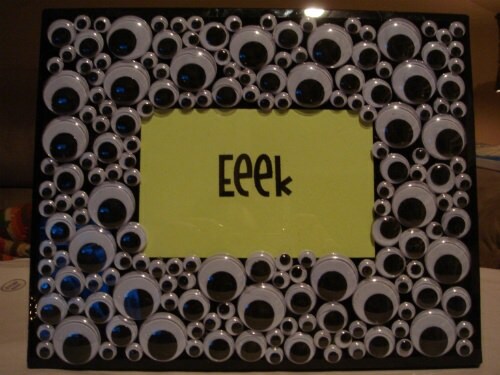 Eye-Spy Picture Frame- Use glue and a pack of different sized googly eyes to make a simple picture frame for all of your Halloween memories! What are some of your favorite DIYs for Halloween? Are you going to try out any listed above? Comment below to share! This entry was posted in Humor and tagged fall, halloween, fun, art, diy, Fall 2013, trick or treat, banana, healthy, orange, black, spooky, ghost, zombie, do it yourself, craft, arts and crafts on October 15, 2013 by Marissa. 5 MUST-SEE Movies for Summer 2013! We recently made a blog post about ways to avoid the summer heat and humidity and one of the ways included going to the movies! A movie date with friends, family or a significant other is definitely exciting and something to look forward to! If you're stuck on what you should see, here are some summer blockbusters that you need to check off your movie list! 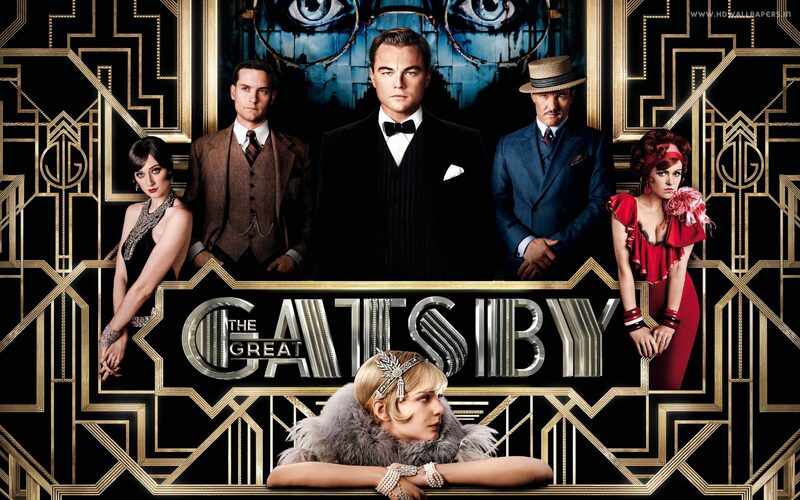 Number one on our list is definitely The Great Gatsby! The Great Gatsby premiered on May 10, 2013. It's a very modern translation of the classic literature book from the Flapper Era, however, it still represents the "Classic" feel that is portrayed in the book. Definitely a must-see, especially if you love fashion! And, if after seeing the movie, you decide you want to rock that 1920s look, just check out our blog post on fashion inspiration from The Great Gatsby. No matter how old you are, you are never too old to see a Pixar movie! Ever since Monsters Inc. first came out, everyone has been anxiously waiting for a sequel (or in this case a prequel)! 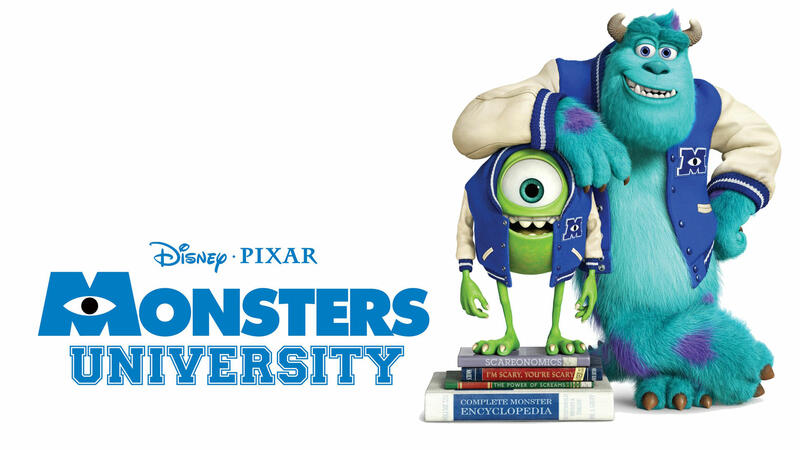 Thankfully, on June 21, 2013 Monsters University premiered. It's a great family movie and it will keep you laughing the whole way through! 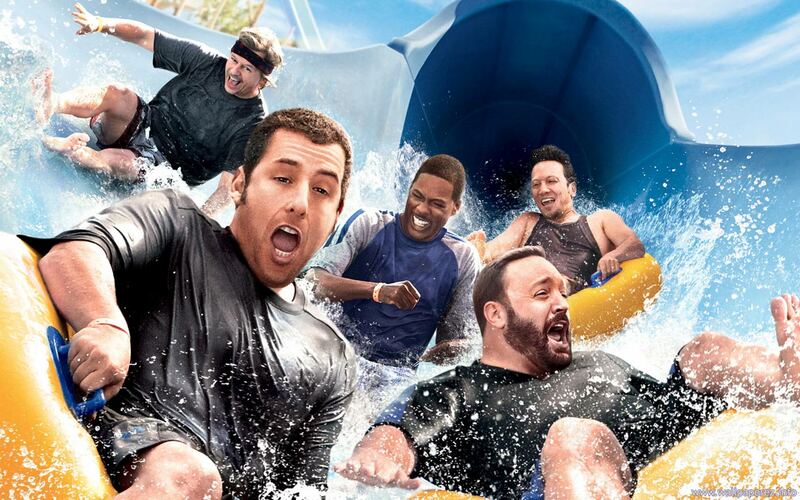 Grown Ups was a HUGE success in 2010, therefore, it's no surprise that they made a sequel to the movie! Grown Ups 2 premiered on July 12, 2013. This movie is full of laughs and great actors. I mean, how could it not be funny? Adam Sandler is in it! He is one of the funniest actors and he also produced the movie! If you're a fan of comedy I would definitely suggest seeing Grown Ups 2! Who isn't a fan of magic? I know I am! Now You See Me premiered on May 31, 2013 and it focuses on four magicians who pull off some pretty extreme magic tricks, like robbing a bank. This movie will definitely keep you on the edge of your seat, and it has a very unexpected ending. But, then again, when it comes to magicians you should expect the unexpected, right? 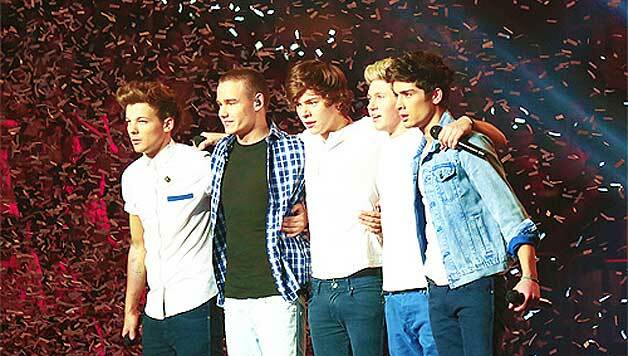 Lastly, One Direction: This Is Us, has many many people (especially their girl fandom) looking forward to seeing what concert life is like for the boy band. Following in the footsteps of Katy Perry, Miley Cyrus and other artists, the movie will be revolving around their life on tour. It should definitely be interesting and very insightful! The movie premiers on August 30, 2013 and we're definitely looking forward to it. What are some movies you're looking forward to seeing this summer? This entry was posted in Humor, In The News and tagged Summer, Movie, movie premiere, The Great Gatsby, movies, fun, in theatres, now playing, date, boyfriend, friends, One Direction on July 31, 2013 by Marissa. We're Dreaming of a Pink Christmas! 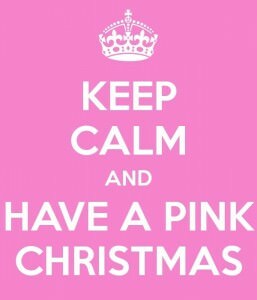 Here at Rissy Roo's the only thing better than a white Christmas is a pink one! We're decking our halls in pink, glitter, pink, and more pink! If you're looking to have a great girly Christmas like us, here are some simple touches you can add to your house to brighten things up! 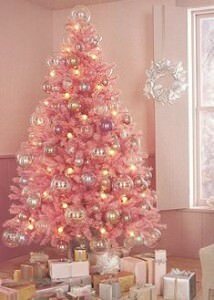 The best way to brighten a room is getting a PINK Christmas tree! True #RooGirls love pink and this tree would be the perfect feminine touch for any home! If you're not a fan of the all-pink Christmas tree, you could always purchase a classic green tree and add some glitz to it! 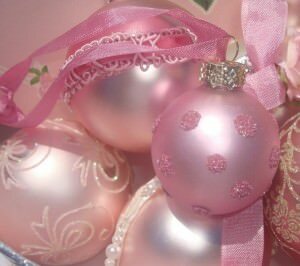 Pink ornaments, with dashes of glitter and lace, are the perfect accessory. If you're old school and like to decorate in red and green we have an alternative for you! 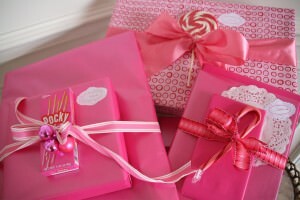 Wrap your presents in pink wrapping paper! There's so many adorable patterned papers with a holiday theme to it too choose from. Or go all-in with solid pink wrapping paper. Lastly, a pink Christmas quote and dress to top off your pink Christmas! This quote is awesome and reminds us that we should keep the Christmas spirit all year long. The beautiful pink dress is Precious Formals style P21038! Happy Holidays! This entry was posted in Humor and tagged Christmas, pink dress, pink princess dress, pink, Pink Friday, Holidays on January 20, 2013 by Marissa.